? 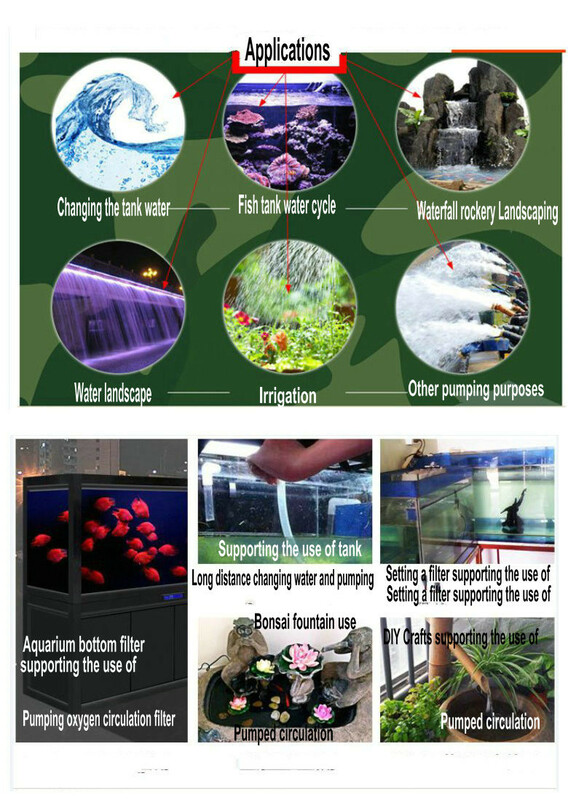 DC12/24V, low-voltage, safe, NO.1 aquarium submersible pump in china.
? 100% copper motor, brushless, non-pollution, small size with high efficient ,long life span.
? super energy saving 50%.
? Small size, high efficiency, maintenance-free, low consumption, strong anti-jamming ability, stable performance.
? Adopt silicone foot to absorb vibration &reduce noise,easy for installation.
? Stator and control circuits are completely sealed by epoxy resin completely separated with rotor, waterproof, avoided water-leakage problem which long exists in normal DC motor pump products.
? Protection functions can be customized such as lock protection, dry-run protection and so on.
? Reduced the mortality to 0.05% after long-time study by R&D dep.
? Suitable for submersible installation.
? Offer ODM serve for pump and other controller system. 5. Regular checking will increase the life of the pump. We the pump doesn't run, pls check the control box and do power test at first; then take down the base of the pump, take out the front cover, check whether there are impurities in the pump body.